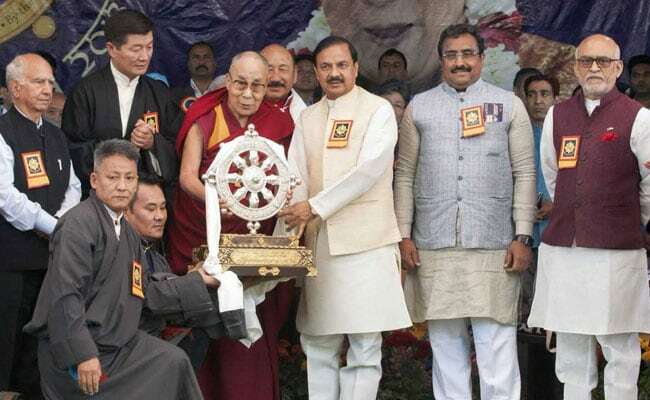 The Tibetan government-in-exile today kicked off year-long celebrations under the "Thank You India" campaign to mark 60 years of the Dalai Lama's arrival in India. Thank You India event celebrated the 60 years of Dalai Lama's arrival in India. Dharamsala: BJP general secretary Ram Madhav today said India appreciates the desire of the Tibetans-in-exile to return to their motherland, and that they should not consider themselves refugees in "their second home". "India has always welcomed people in problem with open arms. Many people came to India as refugees, and found love and shelter here. 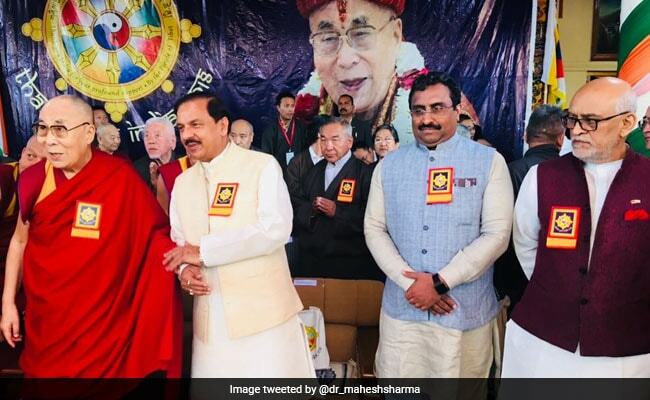 The life of a refugee is very tough and full of struggles, but the Tibetans should not consider themselves refugees as they are living in their second home," Ram Madhav said at an event in McLeodganj in Himachal Pradesh to mark the start of the celebrations. He said that the then prime minister Jawaharlal Nehru followed the "dharma of the land" to give shelter to the Tibetans, though "we followed the one-China policy at the political level". Actually, the Dalai Lama should be thanked for coming to India along with so many Buddhist scholars, the BJP leader said. "Buddhism went from eastern India to Tibet 1,300 years ago. We are bound by spirit, religion, culture and knowledge. So, we are brothers, and brothers do not thank each other," he said. "We appreciate your desire to go back to your motherland ... And we wish you all the luck. This desire must not vanish. Till then, India is your home. India is the land of the Buddha, Mahatma Gandhi and the Dalai Lama," Mr Madhav said. Union minister Mahesh Sharma said, "India and Tibet have decades-old relations which cannot be measured by any scale. Our relationship is that of an elder and a younger brother, who need not thank each other." He said it is painful to call the Tibetans refugees. "You are our guests. Our relationship is like flower and fragrance," he added. BJP MP Shanta Kumar said, "Dharamsala has become the spiritual centre of the world due to the presence of His Holiness the Dalai Lama here. It is the greatness of the spiritual leader that he wanted to thank India." Lobsang Sangay, the president of the Central Tibetan Administration and the Tibetan government-in-exile, quoted the Dalai Lama as saying, "India is the guru (teacher) and we are the chelas (disciples). And to respect the guru is our dharma." "We are thankful to India, as we rebuilt the Tibetan civilisation, revived the Tibetan culture and preserved and promoted the Tibetan identity in India," he said. No other country has done what India did for the Tibetan people in the past 60 years, he said. "The Dalai Lama says he is the son of India and therefore, we are all its grandchildren," Mr Sangay said. Lashing out at China, he said the situation in Tibet is "very grim. It is more difficult for the media to go to Tibet than to North Korea". "Since the formation of our government-in-exile, China has destroyed the Tibetan culture and carried out a number of killings," he alleged. Mr Sangay said that "our government-in-exile in an exclusive product of the 'Make in India' campaign", which is supported by all Tibetans. Congress leader Satyavrat Chaturvedi and Himachal minister Kishan Kapoor were among those who attended the event. The event, which was earlier planned in Delhi, was shifted to McLeodganj in upper Dharamshala after the Indian government directed its officials to stay away from it, citing "sensitive time" for relations between India and China.